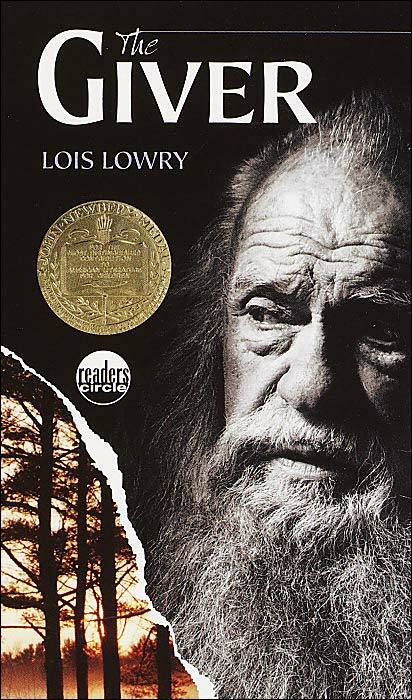 After hearing so many good things about The Giver, I decided to read it late last year. It’s a children’s dystopia read and a very easy read, but that did not lessen the impact of the story. In fact, after reading the likes of Matched, Divergent, and other dystopia series with complicated intricacies about them, The Giver really was a breath of fresh air. The society in which the main character, Jonas, lives in is fairly simple. As they grow, children reach certain benchmarks at certain ages that teach them certain lessons (example: children are given a bike at age 9, which allows them to travel independently of their parents). Then at the age of 12, a child is given his job assignment and starts training. As they reach adulthood, they can apply for a spouse and up to two children. When it comes to his 12th year ceremony where he will receive his job assignment, Jonas grows nervous when he is skipped over his place in line for an assignment. It is not until every other 12th year child has received his or her assignment Jonas learns why he had to wait: he is to inherit the very honorable position of the Receiver of Memory, the one who keeps all memories from the past, before everyone lived in “Sameness.” The process to receive the memories is grueling when he receives the painful memories of war, starving, and sunburns. But he also gets to experience the joys of Christmas, grandparents, and snow sledding. Though he recognizes the dangers of the way the world used to be, he starts to believe it would be worth it to experience the pleasant things life can offer. He also starts to recognize the importance of knowledge and choice. He asks the preceding Receiver, who is now The Giver, if there is a way to go back to the way things used to be; if there is a way he can share the memories with others. My only complaint about this book is that I feel it ends too soon. I wish I could know more and find out what happens after Jonas implements his plan (I’m keeping this vague so I don’t spoil anything). There are three other books in the same universe that follow this one, but they follow other characters, and I have read mixed reviews on them. I don’t want to read them unless I feel like they really add to The Giver and give it a sense of completion so I haven’t decided yet if I’m going to read them. (If you have an opinion about this, please let me know!) But overall, this really is a great little book that I think is a great introduction for preteens start to think about life differently… or for adults as well. I probably won’t review it on here, but if you’re looking for another great and fast read about a dystopia society but is more geared towards adults, check out Ayn Rand’s novella, Anthem. I’ve read both The Giver and Anthem (Ayn’s). I loved the Fountain Head and Atlas Shrugged, but Anthem and We the Living not nearly as much. I couldn’t even finish We the Living (which says something), too soap opera-y and sappy. I think that The Giver has a beauty in its simplicity or “children’s book feel” that brings something more profound than Ayn’s Anthem. I think this profound simplicity is found in some “childrens” books that get over looked in today’s world because they are for “kids”, or they get shoved aside for teenage drama and romance. I believe authors and readers in the past (and some still remain) believed that readers, kids/teendom, 10, 15 or whatever age could understand more than we give credit, and desire to wrestle with thought provoking questions about life, humanity, our past and future, and more. ….. and that’s why I think The Giver is the bomb. It creates a challenging atmosphere in a simple manner. I do want to read Atlas Shrugged and The Fountain Head sometime, but I haven’t yet, and I suppose I’ll stay away from We the Living (I haven’t heard as much about it anyway). I do think you are right about The Giver being more profound because of the simplicity. I can certainly see where someone might say that Anthem kind of beats the point into the ground. I think C.S. Lewis’s Narnia series is another perfect example of profound simplicity in children’s books. Thanks for the thought provoking comment, Adriane! And it was so good to see you and Zach on Sunday!